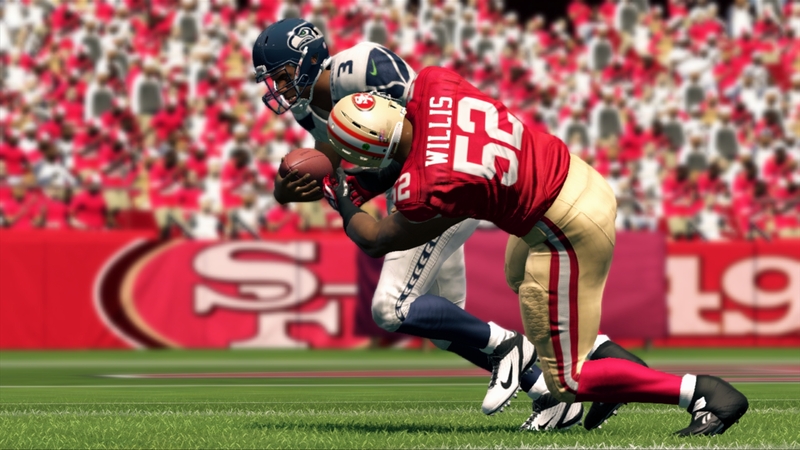 The Madden NFL franchise has always been one of the most competitive video games around. This year’s Madden 15 game is now different. It is time to start brushing up on a few very important tips and strategies that will help you win more games. These Madden 15 tips will help you get better regardless of console so regardless if you are still playing on a PlayStation 3 or XBOX 360 or if you are now using a PlayStation 4 or XBOX One, these tips should at least help you a little bit. If you are a seasoned expert or regularly go to competitive Madden tournaments, you may already know everything on this list. Do everything in your power to score at the end of each half – This is such a basic idea but when it comes time to execute, very few gamers actually pull it off. Getting a touchdown with a minute left in a half gives your opponent a chance to score as well. If you instead time the clock so that you score with under 20 seconds left, it becomes much harder for your opponent to score before the clock runs out. If you score at the end of each half, nine times out of 10 you will win the game. Become comfortable playing defense – Offense is fun but the one thing every elite Madden player has in common is that they can shut you down on defense. You will see all kinds of offensive tips and money plays when Madden 15 comes out. You will also see different nano blitzes. Those things are glamorous and get all the attention. Who doesn’t want to score easy touchdowns and get sacks in under 2 seconds? Those things are also easiest for people selling products to get you to buy their Madden NFL 15 guides or ebooks. However, most of the time you will probably call a basic 2 man under defense or cover 3 defense and make some adjustments to it. You have to become comfortable with defensive techniques such as shading, changing zones, and other adjustments before the snap. Don’t overuse your money plays – This is one of the most common areas where “noobs” mess up. They generally know a few plays that work well, but they call them early and often. When it is time for a big 3rd down conversion late in the game, you can bet that your opponent knows what play you are calling and has set up a defense to stop it. Keep your best plays in your back pocket until you really need them. You have no business showing your best play on a 2nd and 3 in the first quarter. Get a jump on Madden 15 – Usually an NCAA Football video game comes out a month or so before Madden NFL. This year there will not be an NCAA Football 15 so the only way you will be ready for when the season kicks off is to either hop back on Madden 25 for a few days or to play the Madden 15 demo like a mad man. Either way will work but you don’t want to spend the first few weeks of Madden 15 re-learning what buttons do what. and getting your timing back. Do Practice Mode The Right Way – Some people call this “labbing” but it is essentially just practicing with a friend or hitting up practice mode yourself. The common mistake here is to choose a great team and play against a sub-par team. It does you know good to practice against the Cleveland Browns if you never play anyone who ever uses the Browns. Also, if you are using the Seattle Seahawks, you need to make sure you have a team on the other side that is just as good. I’ve seen the situation so many times where someone practices offense with a team like the Denver Broncos and the CPU matches them up with the San Diego Chargers defense. They practice a few plays that work every time for them but then they go online and run into someone using the 49ers defense and things don’t work anymore. The best way to avoid this is to always practice with a bad team against a good team. I like to do a Jaguars offense vs. a Seahawks defense on All-Madden. If you can get things to work consistently in that scenario, chances are high that they will work in a random ranked game scenario. This list is by no means exhaustive, but it should give you a few things to think about . You can find specific offense and defense tips at Madden-School.com. Until then, be sure to leave some of your favorite generic Madden strategies in the comments section below.